Microsoft’s newest software product is squarely aimed at making things easier for businesses and harder for Salesforce.com. Dynamics 365, released in November, is Microsoft’s latest Azure-hosted productivity suite. It consists of “intelligent business applications” in the customer relationship management (CRM) and enterprise-resource planning (ERP) area. It also includes some interesting new features, such as Microsoft Flow and Microsoft PowerApps. Dynamics 365 packs in various business apps to manage several areas, such as project service automation, sales, field service, marketing, customer service, finance, and operations. Dynamics 365 is Microsoft’s latest salvo against rival Salesforce, the leader in the customer relationship management software market. The two companies have butted heads several times recently, including a well-publicized clash over Microsoft’s agreement to buy LinkedIn. Dynamics 365 is available in two editions — business and enterprise. Both editions aim at providing seamless productivity, and each of these editions has a set of purpose-built applications. The editions are differentiated based on the applications they offer and the number of employees supported. The business edition of Dynamics 365 is optimized for organizations with 10 to 250 users, with a maximum 300 users. This edition includes financial apps and will soon integrate sales and marketing applications. The enterprise edition, meanwhile, is designed for more than 250 users and consists of CRM online and AX. The enterprise edition comes with eight applications. Microsoft Dynamics 365 offers simplified and flexible licensing. It has two licensing models: user licensing and device licensing. User licensing is available for both business and enterprise editions and is further drilled down into full user (power user) and light user. License for a full user consists of a complete range of rich features and functionalities across all the business applications. Full users have full access to applications such as operations, sales, and customer service. On the other hand, light users have access to only view data or reports as well as performance updates in some records, for example expense and time entries and HR data updates. Licensing based on device is available only for enterprise edition. It is very useful for shared device scenarios where multiple employees use a single system simultaneously. There is no minimum user requirement for Plan 1 of the enterprise edition. However, to get a license for Dynamics 365 operations (Plan 2), a minimum of 20 users is required. In device licensing, each individual device is assigned with a device license, which can be used by multiple authorized users. With Dynamics 365, every internal user accessing the services needs a license. However, external or third-party users included in the subscription do not require any subscription licenses. Full usage of the business edition of Dynamics 365 with the financial application starts from $40 per user per month. For light users, the price is $5 per user per month. On the other hand, the enterprise version comes in two different plans. The first plan costs $70 per user per month, provided the number of users range from 500 to 999. This plan includes sales, customer service, field service, service automation, and Microsoft PowerApps and Microsoft Flow. The second plan of the enterprise edition costs $210 per user per month. This plan includes operations, manufacturing and supply chain, retail and commerce, and finance along with all the applications of the first plan. Microsoft has made the plans flexible in case a new team member has to be added to the enterprise edition. The prices for adding a new team member ranges from $4 to $10 per user per month depending on the number of users signing up. In addition to that, enterprise edition users can also buy individual apps based on their own requirements. Each application is priced between $95 to $190 per user per month. For additional information on pricing of Dynamics 365 enterprise edition, click here. Dynamics 365, as mentioned earlier, aims to provide a unified experience of CRM, ERP, BI, Office 365, and other tools. Since Dynamics 365 integrates multiple business tools and applications, all its users can work efficiently without the trouble of switching between apps for a single task. Thanks to its app integration and device licensing, Dynamics 365 also ensures that required tasks can be completed from multiple locations simultaneously. As Dynamics 365 is integrated with all Office 365 applications, all users can work on various applications with familiar and easy-to-use interfaces. For instance, Dynamics 365 allows its users to do CRM tasks in Outlook and ERP tasks in Excel. Since the Dynamics 365 contains all the capabilities of ERP, all users can streamline their business operations with the goal of reducing costs. Dynamics 365 also lets you copy Salesforce accounts to Dynamics AX online customers. Moreover, Dynamics 365 for operations includes two separate sandbox environments for development and testing. 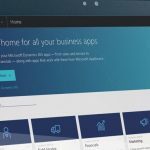 Microsoft has also launched Microsoft AppSource, a dedicated Dynamics 365 app store with more than 200 business-focused service applications, ad-ons, and various other content packs. Microsoft has also launched various mobile applications of Dynamics 365 across all the leading mobile platforms including iOS, Android, and Windows to extend the functionality of Dynamics 365. 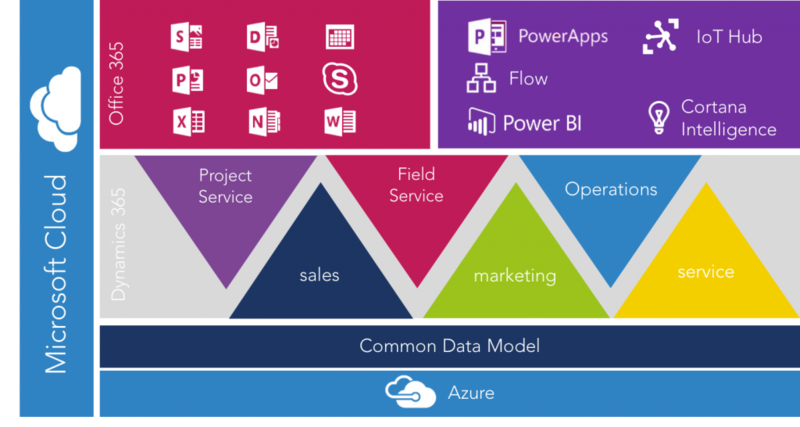 Dynamics 365 primarily aims at combining Microsoft’s existing productivity software with advanced analytics and power BI. Dynamics 365 offers a long list of easy-to-use productive applications and tools. But the release does raise at least one question: Is Microsoft really trying to dig deeper into marketing and business automation? At this point, Dynamics 365 is just a little more than a unified variant of two already existing business automation services: ERP and CRM. Will this appeal to businesses that are already using Salesforce? We -- and Salesforce -- will soon find out.